The current Library building was built in 1977. Back then, our community came here to check out books, conduct research using bound encyclopedias, read newspapers, and use a microfilm machine. Today, our patrons still check out books, but they also use our computers and WiFi, attend programs, meet their friends and neighbors, attend our events, and much more. As the way our community uses the Library continues to change, it’s important that the Library evolves to best serve our community. 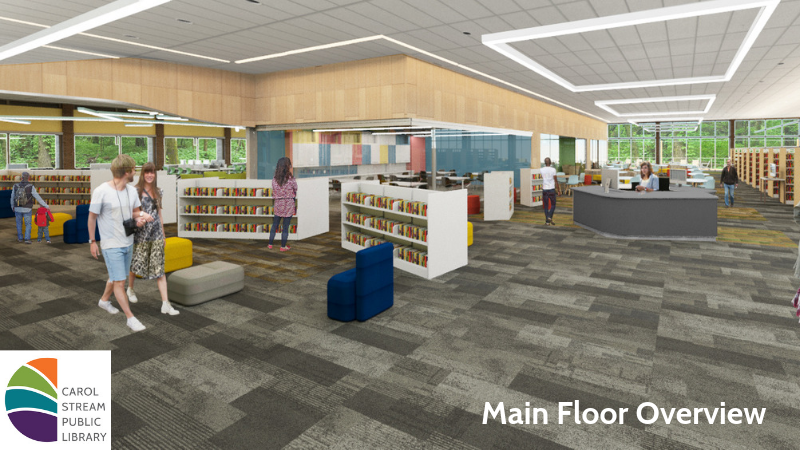 The Carol Stream Public Library is excited to announce that the first total renovation of our building will begin April 1, 2019. Below, you can find more information about how the plans were made, what will change, and how the project will be funded. Thank you for your patience while we make improvements. 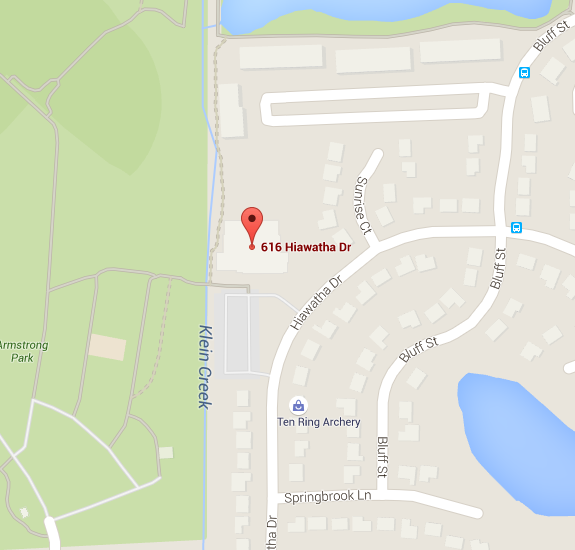 The estimated cost for the entire project is $5,425,000 (including contingencies). Facility repairs that have been planned for will also be addressed as part of this makeover. 33% of the cost of the project will cover capital project costs (e.g., lighting, carpet, HVAC upgrades, masonry work, etc.) that would need to be addressed over the next ten years. How will the Library pay for the project? The majority of the project, $3,425,000, will be funded from our capital reserves – money we have in the bank to pay for these types of improvements. In March 2018, the Village Board of Trustees approved a plan to loan the Library $2 million to cover the remaining costs of the project. The loan will be paid for over the course of 10 years through an increase in the Library’s tax levy. 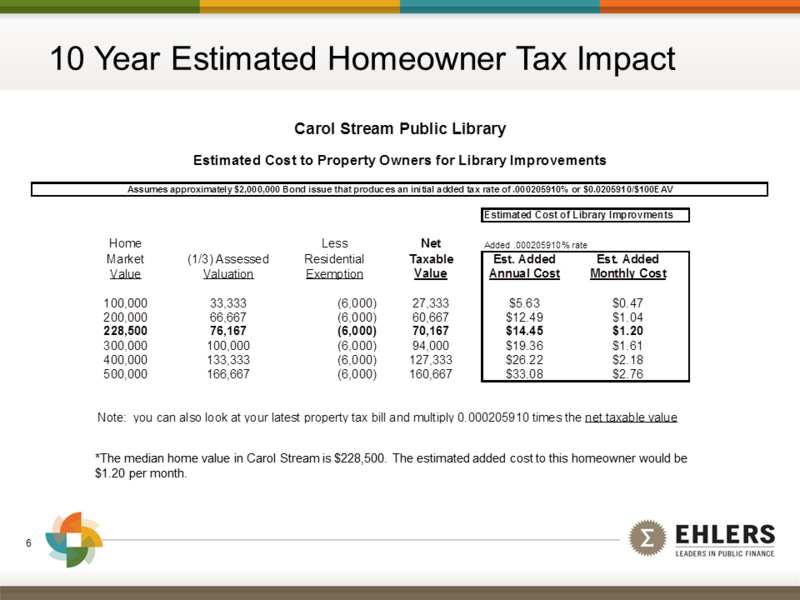 For information about how much this is estimated to cost the average Carol Stream homeowner, please click here. In December 2017, the Library Board approved exploring the sale of the property on Kuhn Road as a possible funding source. We anticipate that the renovation will be completed by spring of 2020. Once we have plans finalized, we will be better able to estimate the project timeline. Watch this space, our monthly newsletter, and our social media to keep up to date on our next steps. Will the Library be open during construction? We plan to remain open throughout construction as much as possible, unless it becomes an issue of public/staff safety or access. 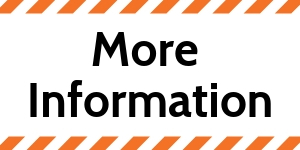 If we have to close temporarily, we will be sure to communicate that with as much advance notice as possible through our phone message, website, social media (Facebook and Twitter), and signage. Will the Library lose space for books? When the Library was built in 1977, it was important to dedicate most of the space to holding print materials. The Library did not enjoy the same resource-sharing agreements as we do today, and digital resources had not been invented yet. The Library will have a reduced number of bookshelves after the renovation. Our Librarians use sophisticated technology to track which items get used the most and to predict which new items will be the most popular. Our goal is to have more copies of the items that Carol Stream residents want, and fewer copies of items that get little or no usage. Our digital collection grows annually. In addition, our new collaboration with the 97 libraries of SWAN Library Services means that our cardholders have access to over10 million items. That’s 13 times as many items as before. How are you gathering community input? As part of the strategic planning process in 2015, the Library conducted a community survey (with 325 responses) and ten focus groups. The community identified improving the Library's physical space as a major issue that should be addressed. A second survey was conducted in July 2017 requesting input on what specific changes the community envisioned. Click here to see full survey results. You can receive updates by keeping up to date on our monthly newsletter and following us on Facebook and Twitter. If you have further questions, please contact us.